Learn about our associate sponsors and how they support Sheffield Digital and the city's digital sector. 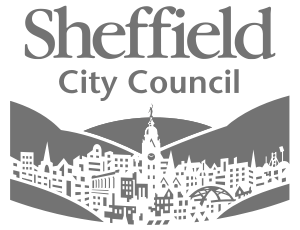 Sheffield Digital is an independent organisation and does not receive any public funding. We are able to do our work thanks to the support of our founders and our amazing community of individual and company members. We also recognise that a vibrant digital economy requires the support of organisations not directly involved in digital activity and that many of these organisations in the city share our objectives. These are our Associate Sponsors – you can read more about them below. If you would like to know more about becoming an Associate Sponsor, you can download the information sheet or simply get in touch. Shorts are a progressive and growing firm of accountants and business advisers based in Sheffield and Chesterfield. Keen users of the latest technology themselves, Shorts specialise in advising digital businesses, looking after a number of prominent companies in the region. They also help with tax incentives designed to encourage companies to innovate. As one of the largest learning providers in the city, The Sheffield College is a vital part of the skills supply chain. We have access to an outstanding talent pool of 16,000 young people and adults who enroll each year, studying up to, and including degree level courses. Now we are refreshing and expanding our digital offer. Benchmark works extensively with digital businesses in Sheffield to attract and retain the best talent within the region. In addition to its work with people and employers, the company is actively involved in grassroots activity to develop future talent and support the growth of the digital community. Established in 1912, Irwin Mitchell is now one of the largest law firms in the UK, with over 300 partners and employing nearly 2,500 people in 14 offices around the country. Its head office is in Sheffield and the company work with a a number of businesses in the city.